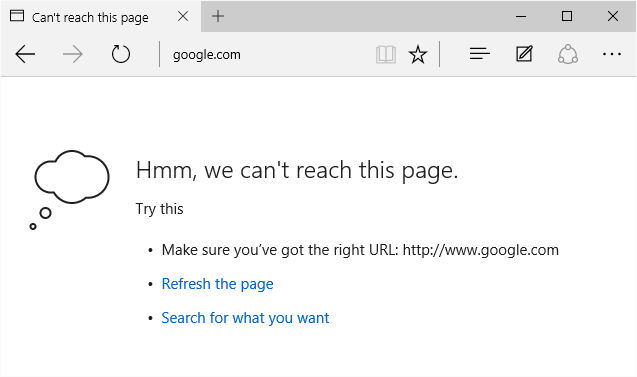 All of sudden, Windows Edge browser starts resulting in error “Hmm, we can’t reach this page.” whenever you browse any web pages. However, you will be able to access the internet through other browsers on the same system. The Windows Edge browser depends on DNS resolution which is provided by “DNS Client” service. Edge browser fails to load page when “DNS Client” service is disabled on the system. Enable and start the “DNS Client” service on the system.